While cleaning out stuff in in mothers bathroom storage closet, I came acroos these two relics. As they say a blast from the past, most of the older people on here will remember the ads on the tube for these. Not much for the Lava, it's still available, and I still use it. Andrew, remember Jonny and Fanny Craddock doing the ad for Fairy on his shirt collars? I was referring to the classic packaging and the green color of the bars. and I wasn't aware that the lifebouy floated across the pond either! Learn something every day on here. 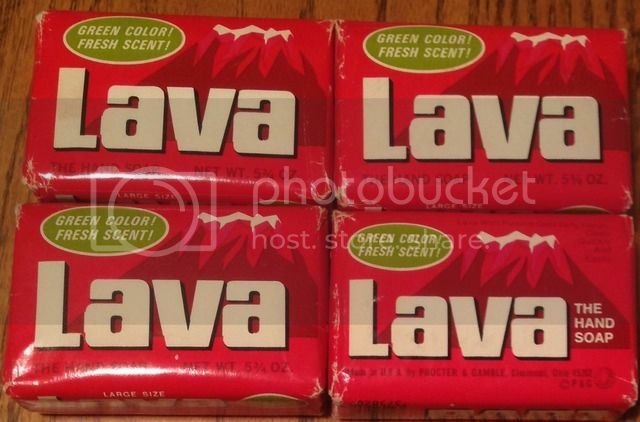 They used to have Lava soap at a couple of places I worked at years ago. I'd use it again if I could get it locally at a reasonable price. "Get a kick out of lifebuoy, and kick out BO! What I said learned something new again twice in one day they never mentioned that it came across the pond this way! Lifebuoy soap was what my mother used to wash out my mouth when she didn't approve of my 8-years of age vocabulary experiments!! So how did it turn out? Did it work on the teeth stains? 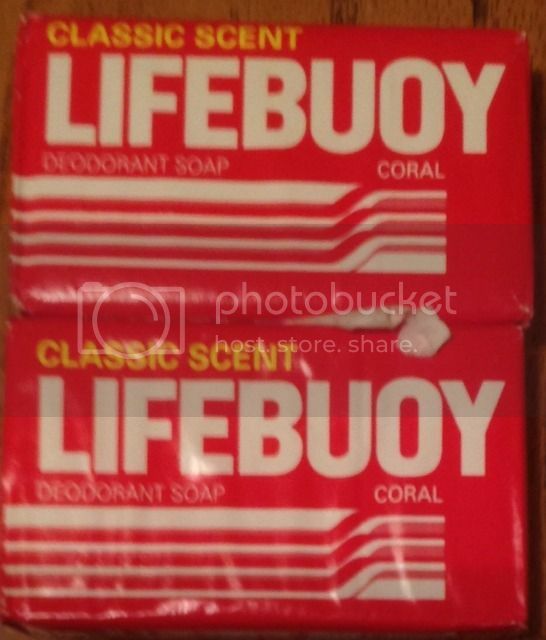 The Lifebuoy soap that we had when I was a kid was definitely not advertised as classic scent or deodorant. It was soap! "Only one way to get those hands clean, mister! .........Lava"
Did she overhear you saying carbollock soap? ....OZ. I also use coal tar soap; and Imperial Leather.